In New York, a CPA logs into their client's financial information and advises them on a buyout. Across the globe, an accountant on vacation is able to send completed tax forms to a customer back in Florida. A small accounting firm in California communicates seamlessly with their international clients. What do all these accounting professionals have in common? They all use the cloud to provide services they wouldn't have been able to 10 years ago. But the risks of cloud computing are real. No one knows that better than Verizon. The cell service company experienced a security breach through a subcontractor's cloud provider. The company they outsource their customer service calls to set a privacy option in their Amazon Web Services (AWS) account to the public. This left 6 million Verizon users' credit card information open to the public. Anytime you send data to the cloud, someone could intercept this information. But the benefits of cloud computing accounting far outweighs the risks for many CPAs. 1. Access your business from anywhere. Anywhere with an internet connection that is. 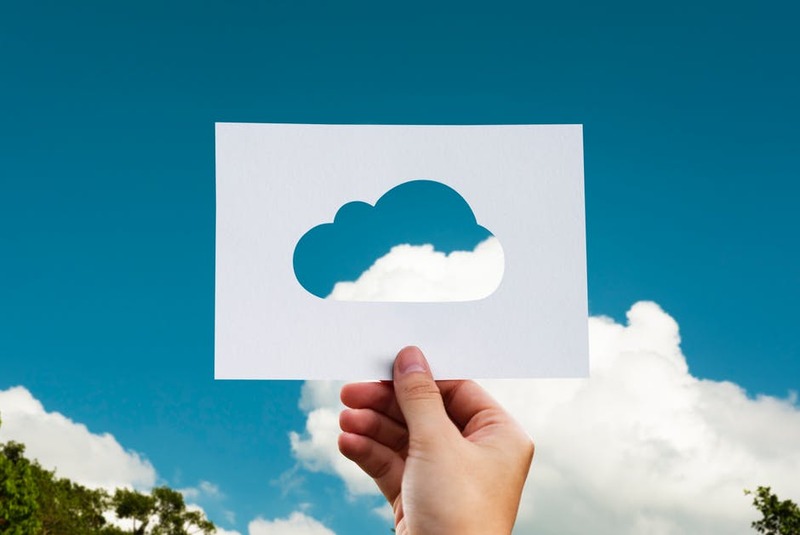 Easy access to data is the second most popular reason for switching to the cloud, coming in behind increased productivity. No more rushing back to the office late at night to grab a file you forgot. You can work from home on days you're not meeting with clients. The cloud takes the pressure off running your own database so you can focus on the numbers. 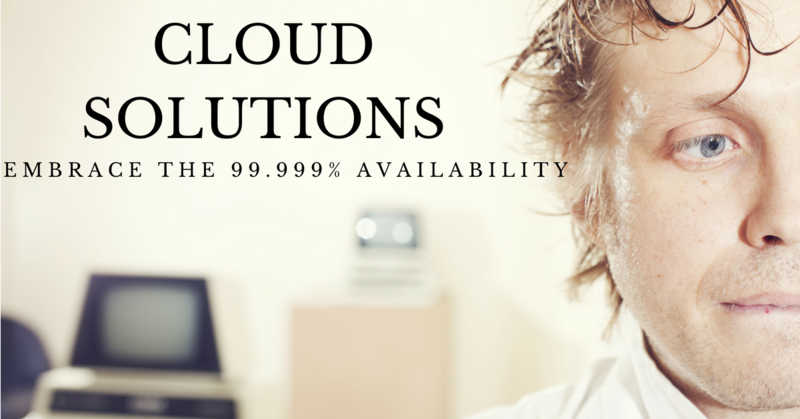 Your cloud provider is responsible for keeping all software and hardware up to date. No more expensive I.T. spending binges on expensive equipment that take time away from your clients to run. Software companies, like Microsoft, are constantly patching their network. Missing a security update could leave your data vulnerable to hackers who are aware of the security hole. Your cloud service provider's sole job is to keep your data safe and out of the hands of hackers. 3. Instantly share documents with employees and coworkers. You don't need to mail forms to a client and wait days or even weeks for a response. Don't even think about touching that old fax machine. You can distribute the same document as soon as you finish it to as many people as you want. Increased productivity was the number one reason businesses switched to the cloud. It makes it so easy to access data and delegate responsibilities all on the same platform. Accounting benefits from real-time access to information needed to serve your clients. 4. Your data is off-site in case of an emergency. Fires, floods, and earthquakes could all destroy your workplace in a matter of minutes. With cloud accounting services you don't have to worry about backing up all your data and keeping it somewhere safe. 5. You may not be in control of security. The risks of cloud computing can come from outside your organization. If you're using any subcontractors or services as Verizon did, you could be putting yourself at risk. Republican data firm DeepRoots Analytics put even more people at risk than Verizon. They made the same security mistake and exposed over 200 million voters' personal information. 6. Fines for data breaches can be steep. Ride-sharing app Uber messed up big time when trying to pay off a hacker who exposed personal info of millions of riders and drivers. They tried to pay the intruder off with $100,000. But when regulators found out they slammed Uber with an astronomical fine of $148 million. It is the largest fine for a data breach imposed in history. And that's not to say other fines are small. Yahoo saw their entire database of over 3 billion accounts compromised. They received an additional $35 million fine for not disclosing the breach for over three years. 7. You have little control over service. If there is an outage and you can't access your data, you have no idea when service will return. With an in house system, you can at least see the progress you or your I.T. team are making. Your provider may also change their pricing at any time. Even a small increase takes away from your bottom line. 8. Switching to another provider can be tricky. Vendor lock-in is a major concern among cloud users as each provider has their own set of standards and applications. Another vendor may have a better price for data storage. But integrating their system may be difficult or even impossible. 9. Hiring a cloud service provider adds another group of employees to your operation. That's more potential threats to your data. Businesses report that 42% of data breaches happen from within their own organization. 10. The cloud service industry lacks standards. What one provider deems safe could be high risk to another. The industry is looking for ways to regulate itself but we are still at the frontier of cloud computing. A cloud provider could set up shop tomorrow with little oversight. So now, that New York CPA remotely accessing his client's files had his login credentials intercepted by hackers. The accountant on vacation is in the dark while her service provider has an outage. And the Californian accounting firm will pay thousands in fines from their last security breach. All thanks to the security and efficiency of cloud computing. The point is cloud computing benefits and risks are equally as powerful in determining it's users' fate. Cloud computing rewards you with more time for your accounting practices. It also makes it easier for someone to manipulate your data. To be fair, handling your own data on your office computer or server can have the same risks of cloud computing. You can weaken your security by not setting strong passwords, not encrypting transmitted files, or even installing a new app. We've seen how something as simple as a misconfigured privacy setting can open the door for hackers. "The knock-on effect of a data breach can be devastating for a company." Said UK Information Commissioner, Christopher Graham, "When customers start taking their business and their money elsewhere, that can be a real body blow." Protect your business and clients with a security audit. Contact us and find out how you can stop ransomware from hurting your business, and start doing cloud computing right.